It's 27 October 1954. 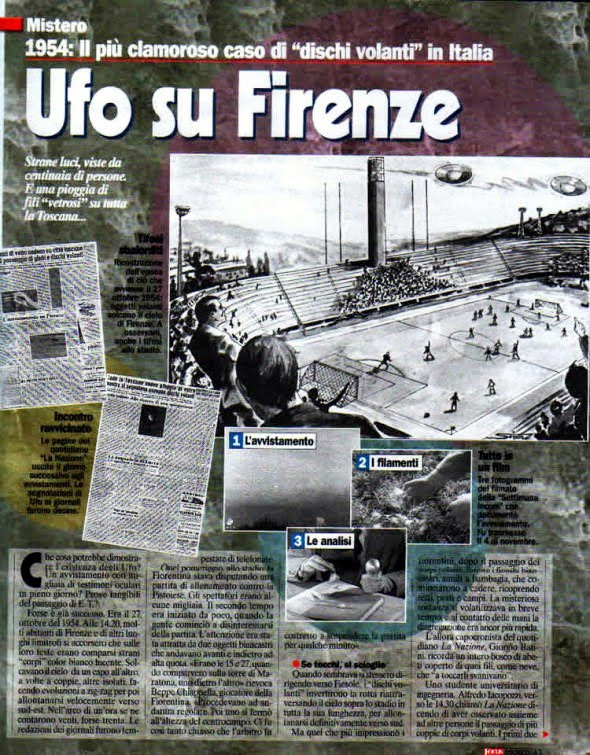 A reserve game between Fiorentina and nearby rivals Pistoiese is under way at the Stadio Artemio Franchi. A crowd of around 10,000 has gathered to watch. 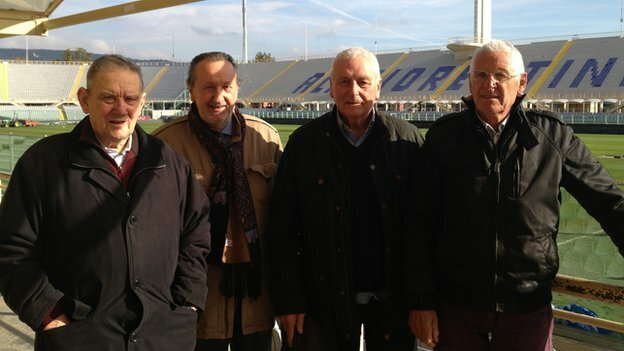 Among them is Gigi Boni (second left in the picture) a lifelong Fiorentina fan who in later years would become the co-ordinator of the club's supporters group.